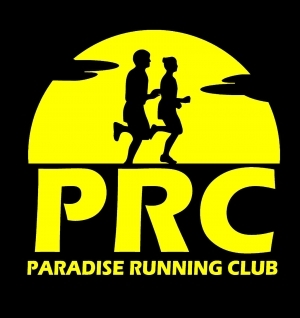 The Paradise Running Club is proud to offer, in conjunction with the Town of Paradise's Snow and Ice in Paradise 2019, Winter Sprinter 2019 in support of the CBS/Paradise Food Bank! With options of a 1K Kids Race, 2.5K Walk, and 5K Run there is something for everyone. Registration is $15 for individuals (with $10 going to the CBS/Paradise Food Bank) and $40 for families (with $30 going to the Food Bank). Registration is limited to 200 participants with a custom-designed medal based on Paradise's own Isaac Brown's winning submission! Please note that participants must finish an event on the defined course to receive a Finishers Medal. Reception and awards to follow at the Paradise Rotary Youth Community Centre starting at 10:00am with snacks, coffee/tea, face painting, and other activities to be announced. 1K Kids Race will start on a closed section of Sarah Davis Way. 2.5K Walk and 5K Run will loop from the Arena Entrance into the Valley Ridge Subdivision and back to the arena. Please view the file "Maps and Information" for route maps and further information. For the Family Registration, please enter all of your family members before completing the registration process. To do so, enter the first person's information, click a different "Family Member" in the registration and enter their information. Repeat the process until you are complete.